Another harvest could do irreversible damage to the wolf population. In 1994 southeast Alaska was home to about 900 Alexander Archipelago wolves. By 2013, there were fewer than 250. Last year that population plummeted 60 percent to 89 wolves. New numbers confirm that the rare breed of wolves could have dropped to as few as 50. But the diminishing species won’t stop hunters from trapping and killing the wolves, according to the Center for Biological Diversity. The Alaska Department of Fish and Game is moving ahead with their 2015-2016 hunting and trapping season on the Prince of Wales Island, where the majority of the wolves live. “Another open season of trapping and hunting could push these incredibly imperiled wolves over the edge,” Shaye Wolf, a biologist with the Center for Biological Diversity said in a statement. A reported 29 wolves were killed during last years hunting season—which accounts for between 33 to 58 percent of the population. Either figure means the species is in jeopardy of being completely wiped out, especially as females were hit particularly hard this season, with only seven to 32 remaining. So, Why Should You Care? These confirmed numbers could lead to further protections for the breed—which some scientists believe are genetically different from other wolves. The United States Fish and Wildlife Service is working to determine whether the species are considered threatened or endangered under the federal Endangered Species Act, which could put the kibosh on hunting the animals and protect their habitat. Such protections would impact the timber industry that logs in their range in the Tongass National Forest. The Center for Biological Diversity filed suit in 2009 to save roadless areas of the Tongass. But the biggest threat to wolves currently is hunters, which makes the forgoing this year’s harvest seem like a no-brainer. An earlier version of this article stated incorrectly that the population of the Alaskan Archipelgo wolf has declined. It is its subspecies living on Prince of Wales Island that has declined. 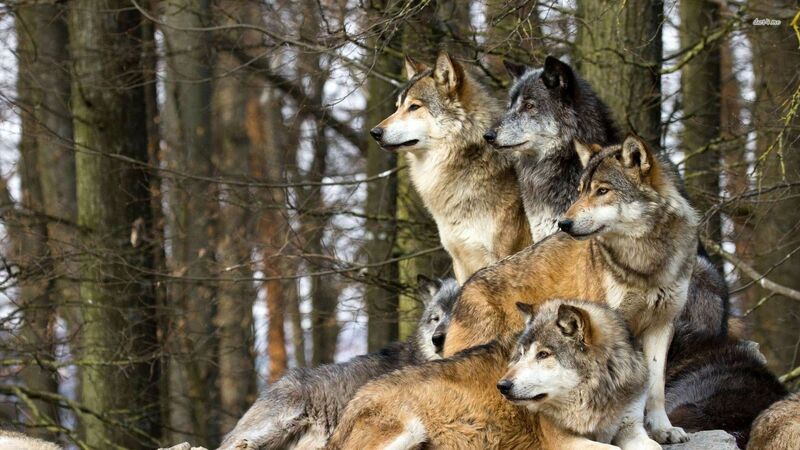 Petition: Stop Slaughtering Wolves for Fossil Fuel and Logging Greed! Hunts across the country are breeding foxes in specially made dens to ensure an adequate supply of the animals, undermining claims that they are killed only in the name of pest control. The ‘artificial earths’ are built on the territory of more than 50 hunts, from the Isle of Wight to Cumbria, including some of Britain’s most prestigious such as the Quorn and Beaufort hunts. The earths are usually sunken concrete chambers built into the ground and connected by a network of tunnels. 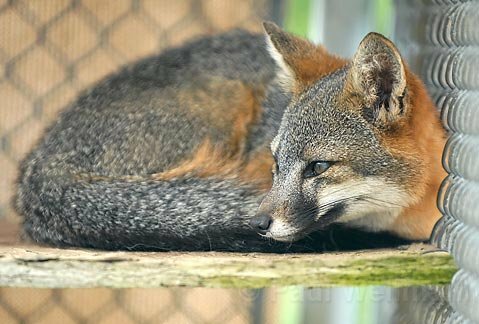 Foxes are encouraged to live in them and are sometimes fed and given water. They are usually built in areas near to key hunt ‘meets’, for example in woodland that will be hunted on Boxing Day or other prime occasions. The earths ensure that foxes are always available for a hunt in a specific area. Animal rights campaigners last night expressed dismay over the use of such a widespread national network of artificial earths, claiming that the policy exploded a key argument of the pro-hunting lobby, which campaigns on the basis that fox hunting is a form of pest control. ‘Artificial earths are designed to ensure that hunts have a healthy population of foxes to kill. They are basically breeding these animals to be hunted. It is nothing to do with controlling a pest,’ said a spokesman for the League against Cruel Sports. The league, which has documented the earths, believes that their true number is likely to be more than 200. ‘They are hard to find and we know we haven’t come anywhere close to discovering them all,’ a league spokesman said. Sometimes the earths are concentrated in small areas. League members say they have found 31 on land hunted by the Thurlow foxhounds in Cambridgeshire, some of which are built with bricks. In a single wood owned and hunted by the Suffolk Foxhounds there are three artificial earths. At some earths, foxes are fed by dumping animal carcasses near the entrances. League members have filmed and photographed two calf carcasses dumped within 100 yards of an artificial earth on land used by the Heythrop foxhounds in Oxfordshire, one of the country’s most prestigious hunts. Near the bodies were animal bones, indicating that carcasses had been dumped on the site before. 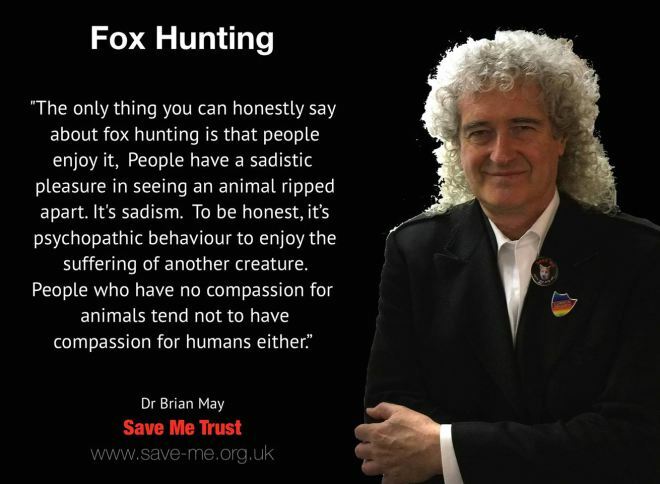 ‘The proximity of the carcasses to an artificial earth where foxes were living is just too much of a coincidence. We believe they were put there to feed the foxes,’ one league member said. A spokeswoman for the Heythrop hunt said it did not deliberately feed foxes. ‘I would strongly suggest it must be somebody else. The Heythrop does not put out calves’ carcasses anywhere,’ she said. League members found a second artificial earth on the hunt’s range which was one of the most elaborate they had documented, containing a ‘dropping pot’, which allowed terriers to be put in to flush out a fox. It included water bowls fed by hosepipe and was located in trees in a sheep pasture. The league said it would be handing a dossier of its findings to the Department for Rural Affairs and local trading standards officers. Dumping carcasses in the countryside is illegal. The latest revelations come after league members last month showed deer carcasses being dumped near artificial earths on the estate of the Duke of Beaufort, a friend of the Prince of Wales. Simon Hart, director of the Countryside Alliance’s Campaign for Hunting, said it was not illegal to create artificial earths, but most of them were unused and dated back decades. He said that those artificial earths that were used were designed to encourage foxes to settle away from roads or poultry farms and not for the purposes of hunting. ‘I don’t see that there’s any contradiction between countryside management, which includes the use of artificial earths, and the need to control fox numbers,’ he said. However, a spokeswoman for the Royal Society for the Prevention of Cruelty to Animals condemned the practice. ‘There are a lot of artificial earths around that are still in use. The only benefit of doing that is to know where foxes live so you can hunt them. 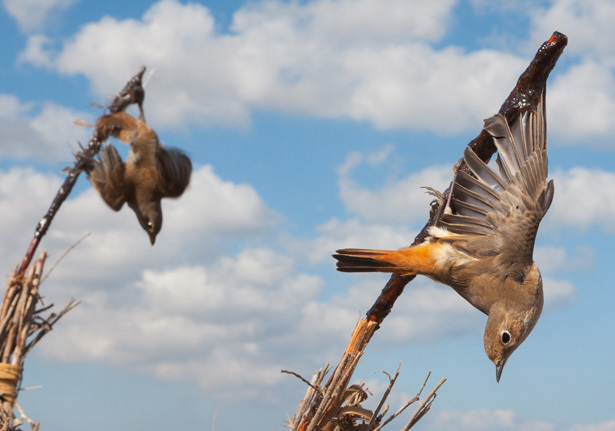 It shows that hunting is not pest control; it is just a blood sport,’ she said. Some pro-hunters blame the creation of artificial earths on farmers seeking to control their fox populations. But a spokesman for the National Farmers’ Union said this was unlikely. ‘I would be amazed if farmers were involved. If hunts are using artificial earths for foxes, that would anger farmers,’ he said. Last week the Scottish Parliament voted to ban hunting with dogs, prompting speculation that similar measures will be attempted in England and Wales. Pro-hunting groups have vowed to challenge such a ban. Thanks for an excellent blog! Sharing it with my followers on Wolf Is My Soul. Today I would like to discuss a monster with you who is known for working together with Monsters like PTSD and Depression. This monster is called ‘Panic Attack’ and is a nasty one to deal with. Panic attacks are periods of intense fear or apprehension that are of sudden onset and of variable duration from minutes to hours. Panic attacks usually begin abruptly, may reach a peak within 10 to 20 minutes, but may continue for hours in some cases. The effects of a panic attack vary. Some, notably first-time sufferers, may call for emergency services. Many who experience a panic attack, mostly for the first time, fear they are having a heart attack or a nervous breakdown. 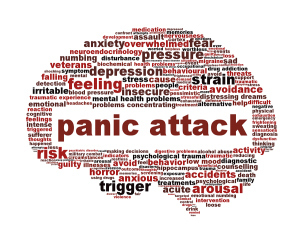 Common psychological themes associated with panic attacks include the fears of impending death or loss of sanity. “– Man har länge haft för sig i Frankrike att ortolansparven är en delikatess. Man fångar in dem, göder upp dem i bur, dränker dem i armagnac, kör in dem ugnen och äter dem sedan hela”…läser jag i DN. Det är ingen nyhet att mängder av småfåglar dödas i Sydeuropa. Bruket av limpinnar är tämligen utbrett och en del njuter av att skjuta dem. 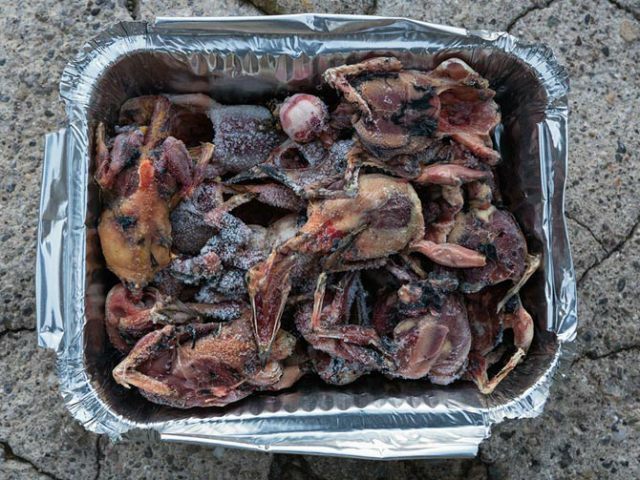 Jag undrar med ett ironiskt leende hur en fransman skulle smaka om man först dränkte honom i armagnac och sedan grillade honom hel? Antagligen som en gammal galt och inget att rekommendera. Nöjer mig med att hoppas sparvarna fastnar i halsen på dem och att de kvävs ytterst långsamt. There are lots of theories on how wolves decided to interact with humans. Did we “adopt” the cutest of the abandoned wolf cubs? Highly unlikely, as we know, with scientific research, living with a sociable wolf as a family pet is next to impossible. Domestic dogs evolved from a group of wolves that came into contact with European hunter-gatherers between 18 800 and 32 100 years ago; this wolf has since died out. Can you imagine 32 100 years ago trying to hunt to feed your family, let alone a large wolf, who could kill you over a meal. The hunting hypothesis, that humans used wolves to hunt, doesn’t hold up. Humans were already successful hunters without wolves, more successful than every other large carnivore. People have a long history of eradicating wolves, rather than trying to adopt them. Over the last few centuries, almost every culture has hunted wolves to extinction. The most likely explanation is that they probably domesticated themselves. Humans living in groups and villages would have waste dumps and some clever wolf figured there was an easy meal to be had by scavenging in these dumps. So the wolves who weren’t afraid to run when they saw people or didn’t attack because that would get him killed, hung around and saw humans as an easy meal ticket. A few hundred years later, these wolves would be living in the village and if they were cute enough and didn’t run, the people would perhaps encourage them to hang around as an early warning system when they would bark in response to danger. Not only did the behaviour of this “protodog” change but so did its body shape and looks. Long floppy ears, puppy like small heads, smaller body, brain and skull developed, as did the ability to read human gestures and language. The domestic dog or canis familiaris lost its fear of humans and started to follow on hunting expeditions, helping track down prey and received food in return. So they became very useful to have around as, guard dogs, as help during the hunt, perhaps as a companion and play mate for early human children and, a bit unpleasant to think about, but a ready meal when times were tough. It looks more and more likely that his now extinct wolf adopted us; dogs may even have been the catalyst for our civilization. If you would like to know more about how dogs came to be on the sofa, Professor Raymond Coppinger will be holding a full day seminar in Dublin on June 28 on this subject and what makes our dogs tick. Professor Coppinger is one of the world’s most renowned experts on dogs, having written and published along with his team, over 70 books and science papers on all things dog. For more details on this special event, see http://www.apdt.ie/events or you can give me a call. This will be Professor Coppinger’s first time in Ireland and hhis last visit to Europe. 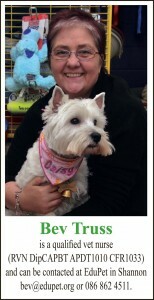 If you want to know more about dogs then this is the Dog Day Out for you. Written by: Bev Truss, a qualified vet nurse (RVN DipCAPBT APDT1010 CFR1033) and can be reached at EduPet in Shannon bev@adupet.org or 086 862 4511. Loved reading this piece and just had to share it with my followers! Thank you for reposting this blog. My relationship with Pharaoh has echoes of much earlier times. This is a post that was originally published by Learning from Dogs back in July 2012! It seemed so fitting to repost it this week. Not only in recognition of my dear Pharaoh’s birthday yesterday, but also in recognition of all the dogs and their loving human companions since time immemorial. What magnificent creatures they are. The woof at the Door. The grandeur of the ancient relationship between dog and man. A couple of weeks ago, I came across a fascinating article that had been published in American Scientist magazine (online version) written by Professor Pat Shipman. The article provided the background and evidence to support the proposition that dogs may have been man’s best friend for thousands of years longer than we realized.